Teaching reading in 5th grade is one of the best parts of teaching 5th grade. The standards and text level are more rigorous than in primary grades, but the students are much more independent. The books the students read are much more entertaining and interesting to read as a teacher. The discussions can be quite meaningful and deep as well. I have always taught reading using a workshop model that promotes students reading a lot of books (and a lot that they choose) and a variety of text. I try to teach reading in a way that promotes discussion and enjoyment of reading as well as provides the students with the skills to be successful readers (and writers). 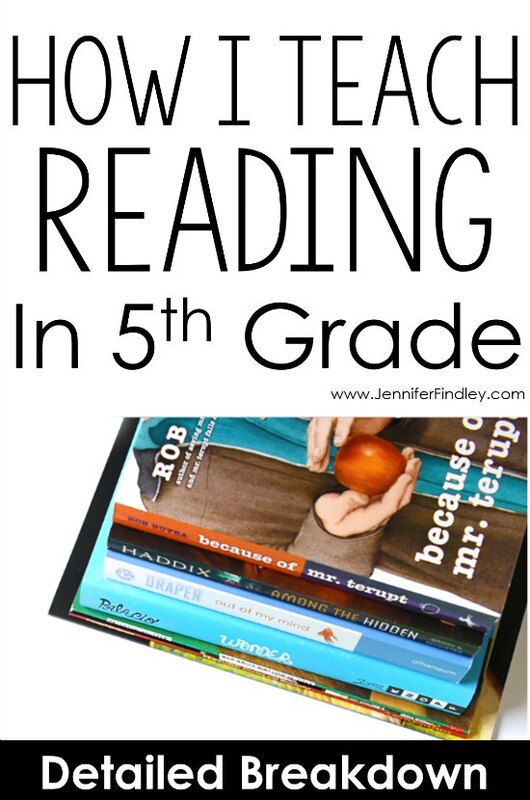 This post will breakdown how I teach reading in 5th grade. I start each reading block with a mini lesson via some type of read aloud. I begin the lesson with an anchor chart that lists our reading skill or strategy for the day. 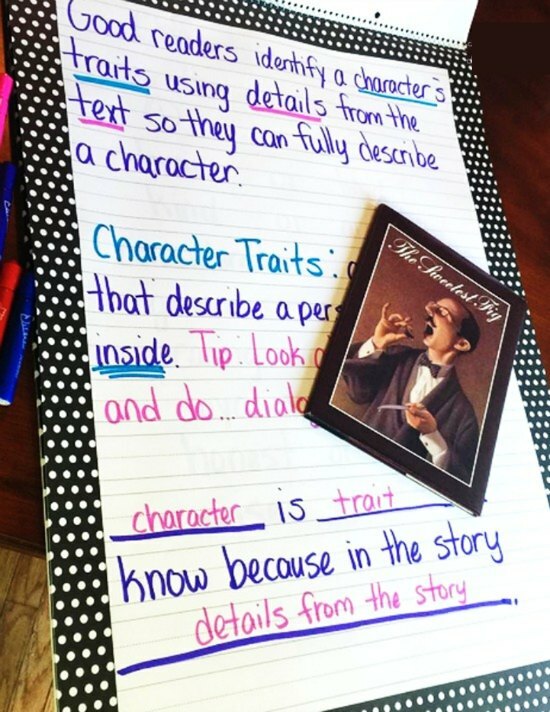 It may say something like: Good readers identify a character’s traits using details from the text so they can fully understand the character. 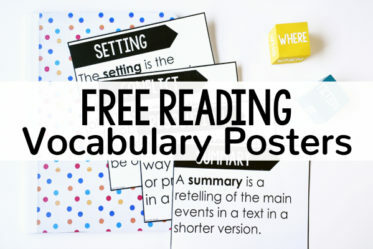 Before I begin the read aloud, we go over the reading skill statement and any vocabulary that the students need to know. Then I provide the students with a focus for our reading. An example focus would be: We have two characters in our book today. The two characters have distinct personalities and character traits. Their names are Bibel and Marcel. As we read and discuss, I want you to look for details from the book that help you identify the characters’ traits. Sometimes, I have sentence stems written on the chart to help the students when we get ready to discuss the skill or strategy. For example: _______ is _________. I know because in the story ____________. Here is an example of chart for the mini lesson that the examples I used came from. After reading and discussing the read aloud, the students are ready to apply the same skill or focus to their own reading. I tell the students: When you are reading your book today, I want you to determine at least one character trait that describes your character. I want you to support that trait with details from the story. They record their responses either on a post-it note or in their reader’s notebook. We will come back to this during our closing and sharing time. Friday: On Friday, I use my reading mini-lesson time to assess my students on the skill that I taught that week. Click here to see the mentor texts that I recommend for the skills I teach (and some fun holiday ones that help me spiral review reading skills). After the mentor text introductory lessons (either after Monday or Tuesday depending on how complex the skill is or how well my students do with the skill), I give an exit slip that has the students defining, explaining, or describing the skill. 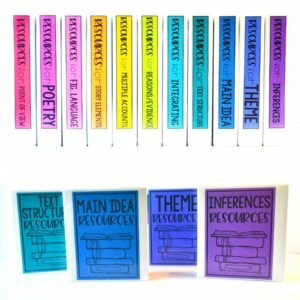 The results of this lets me know if the students are ready to begin independently applying the skill to independent reading or grade level passages. 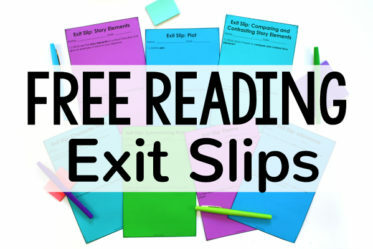 Click here or on the image below to read more about these specific exit slips and grab them for free! As much as I would love to use mentor texts all of the time with my students, I have found that my students greatly benefit when we read passages that are specifically written for the standard or skill. 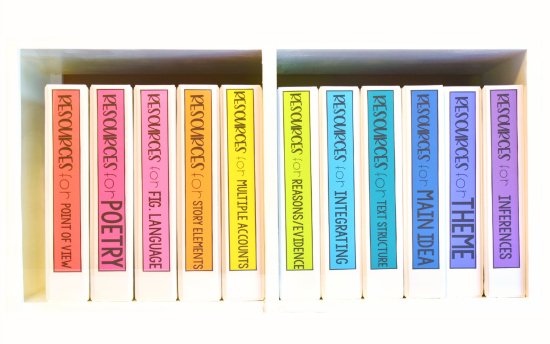 To do this, I use passages from my Reading Supplemental Resources on TpT. I follow a similar sequence with reading passages as I do with mentor texts. The only difference is that the students have the passage in front of them and are able to read along and highlight/underline/annotate the text as I read. After reading, we often discuss the skill or strategy as it relates to the specific passage. After discussing it, the students start writing down their thoughts. If we do not have time to finish writing during our mini lesson time, we move into guided reading groups and they continue writing their thoughts down independently. Sometimes I assign a new question or response for the same passage that I want them to complete during reading. If we are going to use the same passage for a few different tasks, I will have them glue it into their notebook. These passages and organizer come from my Main Idea Reading Unit. Click here to read a blog post that shows how I used mentor texts and passages while teaching Comparing and Contrasting Story Elements. I have never taught with a basal or reading textbook. I have always taught reading through guided reading groups. My students are grouped into groups of 4-6 students each, based on their levels (as determined using Fountas and Pinnell Benchmarking). In the 60 minutes that I have, I am able to teach 3 very focused 20 minute groups. I usually have about 5-6 groups of students, depending on class size. I meet with my below grade level reading groups four days a week. My on-grade level and above-grade level groups meet with me 2-3 days a week. Review previous day’s reading or introduce a new book. 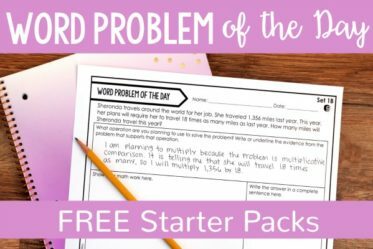 Go over 3-4 tricky vocabulary words. Set a focus for today’s reading. (This could be a specific question or a reading strategy that I want them to use in their reading in addition to their normal reading strategies.). I also assign the pages I want the students to read. Check in each the students while they are reading and listen to them read. I also ask comprehension questions during this check-in. Click here to grab the form I use to record my notes from guided reading groups. I try to time it so we end our assigned pages a few minutes before the group is finished to discuss the focus skill or strategy. Sometimes, I assign a writing task for them to complete and sometimes I assign more pages for the students to read before our next meeting. That gives you the gist of what a guided reading group looks like. I plan to write a more detailed post about guided reading and what it looks like in my classroom in the next month or so, so keep an eye out for that post. What do the other students do while I am teaching guided reading groups? This varies from year to year depending on my students and their reading behaviors. 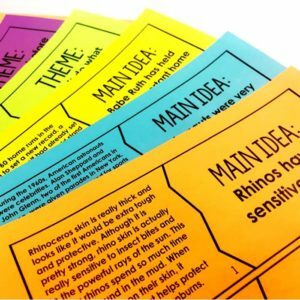 To read more about what the other students do, check out this post with ELEVEN reading center/station ideas that I have used in the past. Materials Needed: Any completed work that was assigned during the mini-lesson. This part of my reading block is really important. When reading groups are over, we come back together as a class and discuss the skill that we learned during the mini-lesson and how the students were able to apply it to their own reading. We share our thoughts that the students wrote down based on my focus question – see mini lesson section with partners. Then I usually have a couple of student share their ideas with the class, if time allows. This part of the lesson helps them stay accountability and ensures they are applying the skill to their reading. If the students had some type of extension activity to complete (from as passage or read aloud), we also discuss it at this time and/or turn it in for me to check. I do a lot of authentic assessment during reading mini-lessons and guided reading groups on the strategies and behaviors my students use or need work on. To assess the reading standards, I use reading exit slips. They are quick and don’t take up as much instruction time. They provide a good snapshot of how the student is doing with a specific skill. 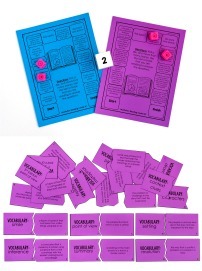 I have two exit slips per skills so I can assess, continue teaching or re-teach, and then assess again. 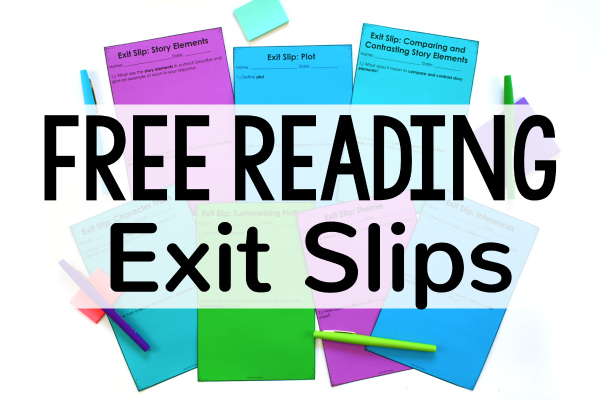 Click here to read more about how I use exit slips during reading instruction and grab some free ones. Note: These are suggestions based on a 45 minute reading block. Monday: Teach a whole group lesson of that week’s reading skill for about 20-30 minutes. I would then have the students complete independent practice of that skill for the rest of the time. While the students are doing independent practice, I would either monitor the whole class’s progress or pull a small group of students who are struggling. Tuesday-Wednesday: Pull two 20-minute small groups while the other students read or complete reading centers. I would also give the students a task that takes them about 10-15 minutes that reviews the week’s skill. I would also review or incorporate the skill in my small group instruction. In the last five minutes of class, I would do a quick review of the skill by going over the task the students completed. Thursday – Based on how the students are progressing with the skill, I would either continue the Tuesday-Wednesday sequence (if the class is doing well with the skill) or repeat the Monday sequence (if the class is struggling). Friday – Assess the reading skill for 15-20 minutes. Pull a small group after the assessment to re-teach (I have the students turn in their assessments when they are finished so I can quickly glance at them and know who needs re-teaching). The other students would work on reading centers or literature circles while I re-teach. 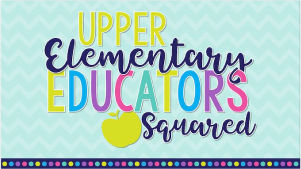 Click here to read about some must-have reading professional developments book that I highly recommend for upper elementary reading teachers. There you have it. That is a quick run-down of how I teach reading in 5th grade and some suggestions for those of you who do not have more time. Let me know what questions you have in the comments. I LOVE everything you post!!! I enjoy reading about how you run your classroom! I will be purchasing some of your products soon. Thank you for sharing! I am currently doing level 6 communication for college. I’ve been out of school 35 years. I have no understanding of grammar. I wish teachers were same as you. When I was at school. Love this- but I have a 45 min. Reading block. Suggestions?? Monday: Teach a whole group lesson of that week’s reading skill. Then do independent practice. While the students are doing independent practice, either monitor the whole class’s progress or pull a small group of students who are struggling. Tuesday-Wednesday: Pull two 20 minute small group lessons while the other students read or do reading centers. I would give the students a task that takes them about 10-15 minutes that reviews that week’s skill. I would also try and review or incorporate the skill in my small group. In the last five minutes of class, review the skill by going over the task the students completed. Friday – Assess the reading skill for 15-20 minutes. Pull a small group after the assessment to re-teach (I have the students turn in their assessments when they are finished so I can quickly glance at them and know who needs re-teaching). 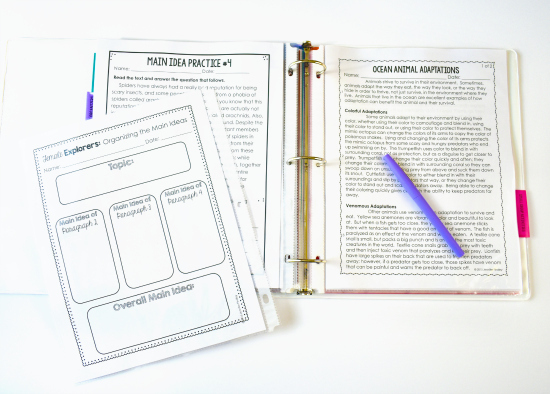 Have the other students work on reading centers or lit circles while you re-teach. That is just a suggestion and what I would do. Hope that helps! When you say pull two small groups are you referring to the guided reading groups? As usual, more great info and details! My question is grammar/vocab and writing. Where and how does this fit in? I have 90 min blocks as well, but found that I’m either working on guided reading or writing-both don’t fit in the time frame I have. A writing project typically takes us 5-8 school days. Students will independently read during stations, but meet with me to work on writing. I also spent time/mini lessons on Greek/Latin roots, prefixes, etc. Just wondering where all of this falls in for you! If I only had 90 minutes total for all of my literacy, I would follow a similar reading schedule as I outlined in my comment #4 above. I would use 45 minutes for reading and then 45 minutes for grammar/vocab/writing. I would also embed grammar in with writing and vocabulary in with reading. Thanks for this helpful post. I have a question about the assessments you use for Friday. Do you make these yourself? What kind of format do you use (e.g. short passage where they apply the skill)? I love the idea of looking over them quickly to see who needs reteaching. This was so helpful as I am preparing to start reading workshop this fall in 4th grade. This gave me a lot of good ideas! Thanks so much for sharing and I’d love to read more about your reading workshop! I hope to start blogging about that very soon. Not enough hours in the day…even in summer..well, especially in summer with the kids home. Thank you! Do you have a place where you share your mentor text titles and mini-lessons? Hi Heidi, I am planning on compiling a list of mentor texts that I use and love this month or next (fingers crossed!). Thanks for asking! Fantastic!! This was my question. As I’ve told you many times before, you are truly an inspiration and mentor to so many. I thoroughly enjoy reading your Blog and learn so much each time. Thank you for sharing your wisdom, your time, and your products. Yes!! I need mentor text help too. I’ll look forward to your post! Do you have a list of texts that you use for mentor texts? THANKS! Hi Alesha, I am planning on compiling a list sometime this month or next (fingers crossed!). Thanks for asking! I’m just seeing this…a year after these posts…have you compiled the lists and posted yet? I’d also be interested in actual plans or pacing. 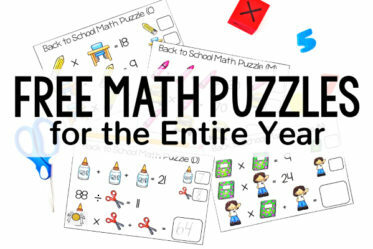 Moving to a new grade (4th) next year and looking for this exact resource to rely on while I figure things out! I love your posting! It’s hard to find upper elementary reading blocks that are choc-ful like yours is. Question: do you have a resource to use that bullets the reading skills to teach each week and the mentor text to piggy back it with? That’s my challenge. Thanks for your help!! Hi Paige, I don’t have a resource like that right now. However, it is my hope to compile one this year. Thanks for asking! I really love how you teach reading! Do you do any chapter books at all? Can you use that as your text during Guided Reading time? Id love to know this to! Britani and Ellen, I do use chapter books in addition to picture books. I read Wonder as my main chapter book for the year. I also do a lot of chapter books during Guided Reading. I rotate between chapter books and nonfiction text in guided reading. So, we may spend 2 weeks on a chapter book and then the next 2 weeks looking at nonfiction articles and texts. Hope this helps! Do the students in your guided reading group take turns reading loud or read silently? The students read silently and I “check in” with each of them. During the check in, I may ask them to read a little for me in a whisper voice, summarize what they have read, or just share their thoughts. Thanks for asking! What state do you teach in? Are your lessons based off of your state’s standards? I have a 90 min block. Could I do 60 min reading and a 30 min writing? Where would I do grammar and word study? I really appreciate your awesome ideas! I started the reading stations you described last week and the kids love them! I was wondering about the texts/books you use during your guided reading time. Do you use different level novels with the small groups? This is all so wonderful! Thank you for sharing. I do have one question about spelling. When do you fit in time to introduce new spelling words? Is that part of your Monday? I usually give a pretest on Monday then give word work as one of the centers. What are your thoughts? You are an amazing teacher. I definitely love and feel so excited about the introductory portion of this lesson – where you read and clarify the strategy. It is very student friendly, and learning objective oriented. I love it! I teach Spanish for heritage speakers (9th grade) and find these strategies very useful and accommodating to the needs of the students in a language that they are starting to become literate. I translate it all and it works wonder. Thank you! Your TpT products are AMAZING. I love this biog and your resources! Its super helpful as I am a second year teacher but this is my first year teaching 5th grade and moving from teaching one content ares to three. I am striving to make it more engaging but was struggling with how I would incorporate the small groups and centers on a continual basis. 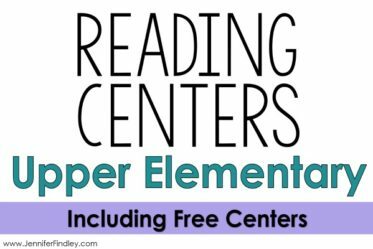 My question is do you do your centers everyday and what is the structure of your class on the days that you do not do centers or guided reading groups? Also, I would love to know how you go about creating lesson plans. Is it easier for you to just plan out what you are going to do then place those elements into a lesson plan template. Im asking because Im note of a plan out what I want to do first but the district I work for requires us to submit general lesson plans on a online template. Thanks again for sharing these awesome resources! So, I was just wondering if you ever used novels as your read aloud/mentor text, and if so, how do you incorporate them? Thank you for sharing your methods so generously with us. I’m preparing for my 6th year teaching 4th grade by myself in a small school. You are helping me become more effective and to solidify my approach to the whole reading workshop/guiddd reading model. Blessings!! This will be my 2nd year teaching 4th grade, and I really want to implement guided reading into my reading workshop. Reading your site and posts, I got super excited and hopeful what next school year will bring. I also trust your methods will prepare my students’ for testing, improve their test scores, and just overall steer their success. I haven’t purchased but am planning to purchase your reading resources. Everything looks so wonderful!! I want them all!! But, I have to pace myself, so what do you recommend that I purchase to start out my reading groups? Also, would it be possible to communicate with you via email? If so, my email is psantoscoy@bps.k12.nm.us. Your help would be much appreciated. Thank you Jennifer for your awesome site and resources! I’ve never been so motivated to get started planning in the summer!! 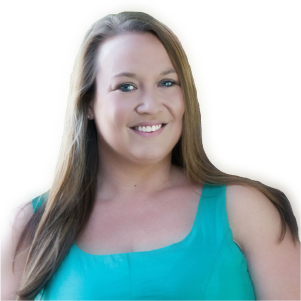 Hello Jennifer – I just found your site and can’t thank you enough for all the information it contains. I’m also a 5th grade teacher that will focus on reading and social studies this year. I’m also getting my masters degree and I’m doing my action research on engagement and motivation in independent reading. Your site gave me great new methods for teaching reading workshop that I hope will encourage both motivation and engagement. I download, among many other things, the pacing guide for reading workshop. is there any chance that you have a list of mentor texts for the lessons? Just fixing my choices so I’ll get notification when you reply. Hi Lisa, I don’t. I tried last year to compile one but I honestly got overwhelmed because so many books could work with so many skills. However, I am going to try again this school year. I am actually going to try and create a post for each major reading skill with at least two read aloud recommendations with more details about how the books work for the standard. I find that personally more helpful than just a list. Keep an eye out for that! Thank you for the response. I would have to agree that it becomes overwhelming trying to keep a list of them. I look forward to your posts on reading. Hi Jennifer, Our district is implementing the reading workshop model this year. I teach fifth grade and have taught guided reading groups, whole group instruction, and writing workshop, but have not taught using the reading workshop model. I notice that your instruction includes reading workshop and guided reading groups. Do you do both of these every day? I’m wondering how much time you spend on reading workshop if your guided groups are 60 minutes. We have a little more than 90 minutes this year for literacy instruction, including writing and spelling/word study. Thanks! I’m excited to have stumbled upon your website and plan on visiting often! I love reading your posts and how you teach! You are very inspiring. Do you have a list of mentor texts that you use for reading instruction that match skills or have a good reference? Thanks. Hello! This post is extremely helpful. 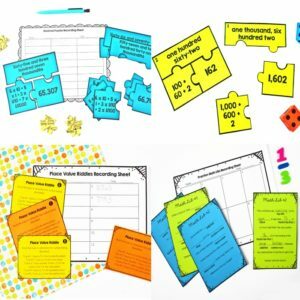 I enjoyed your resources for Math for years and now that I teach Reading to three classes, I find myself coming back for your ELA resources! I appreciate the schedule you suggested for a 45 minute block. I have 75 minutes to cover Reading, Writing, & Grammar so i am always looking for ways to use my time wisely. Can you share some ideas of what you would suggest for students to complete during that independent work time on the first day of the skill? Also, where do you get your grades from using this format? We are expected to have 9 grades per quarter and sometimes it’s a struggle. Thank you! Hi Jennifer! It looks like you have a 90 min block for literacy. Do you focus weekly on RW then switch the next week to WW? Or three for one and two for the other, then switch? Thanks! Thank you for the great ideas to help me spark creativity! I’m at a low-socioeconomic school district and we have many behaviors to deal with. Sometimes my 60 minute block ends up being closer to 40- 45 minutes. I’m definitely interested in your resources. I love that you have multiple passages that focus directly on the skill. I think that will help keep the focus of my students in the little amount of time I have. Unfortunately, to add to the short blocks, our classroom size is tiny. There is no way to successfully pull students for reading groups (which I’ve always done at other schools). However, I feel those passages would give me an opportunity to have individual work, then pull a few kids together around a desk and work with them! Thanks! This page has been such a blessing! I taught second grade for 8 years in NJ, and recently moved to GA where I accepted a third grade position. I am now looking to switch schools and was offered a fifth grade reading position. YIKES!!! I am so nervous, but I must say, your blog post on teaching 5th grade reading has been a breathe of fresh air and has truly calmed my nerves. I know I will need to do more research, but your postings have been a wonderful start. Thanks so much. I love your resources and really appreciate the schedule you’ve included for shorter blocks of time! I have 90 minutes total for reading and writing! How do you take grade in reading? What do you take grade on and how often?